Home / News / An Adoptee Lexicon — Available for Preorder! An Adoptee Lexicon — Available for Preorder! 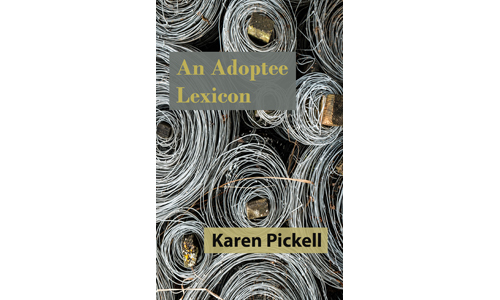 Raised Voice Press is thrilled to announce our first title, An Adoptee Lexicon by Karen Pickell, is now available for preorder! Order directly from our site by October 31 to receive a copy signed by the author! You can also order now at Amazon, Barnes & Noble, or Kobo. Part-memoir, part-lexicon, this artful inquisition of the terminology surrounding adoption took my breath away. Fierce and eloquent, Karen Pickell handles the delicate material of her own life with searing honesty and precision, while simultaneously calling out the grief, loss, and sense of abandonment that is the reality of adoption. I wish I could have had this beautiful book as my companion and guide as I fought to navigate the anguish and complexities of my own adopted life. An Adoptee Lexicon is a gift; a must-read for anyone touched by adoption, a triumph of love over loss, and a powerful and searing reminder of the redemptive power of truth. In An Adoptee Lexicon, Karen Pickell divines not only the terminology of adoption, but words so often taken for granted—sin, child, name, parent, home—in the formation of all our identities, cutting through clichés that impede self-actualization and empathy. That we might not know who we truly are—that we might be wandering “detached from the earth itself, from the world of living things,” as Pickell hauntingly writes—is a truth this book embraces and with which it struggles, in which any reader, regardless of family history, can find kinship. Next post: An Adoptee Lexicon — Now On Sale!